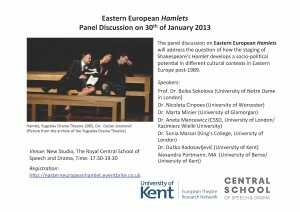 A Symposium on Eastern European Hamlets, co-organised by the University of Kent and the Royal Central School of Speech and Drama, University of London, took place at Central School on Wednesday, 30 January 2013. The event examined the role of Hamlet on Eastern European stages after 1989. It addressed the legacy of Jan Kott’s political interpretation of the play that saw it as a struggle of an individual against a corrupt government. Such an understanding of Hamlet resonated with theatre makers across post-war socialist Europe. The symposium sought to inquire into the significance of this tragedy in New Europe, through examination of its theatrical and cinematic representations. 1) According to Jan Kott, Hamlet in socialist Europe had the potential to mirror and challenge socio-political circumstances from a relatively safe position of a cultural icon; has the function of this seminal text changed after the fall of the Iron Curtain? 2) What are new approaches to staging Hamlet after the shift in social-political circumstances in 1989? 3) Is there still an identifiable phenomenon of the ‘Eastern European Hamlet’ in the so-called ‘New Europe’? Are there common political and aesthetic approaches among Eastern European theatre makers? Have Eastern European countries forged their own styles of interpreting Hamlet? Prof. Robin Nelson, head of Research at Central, opened the event and chaired the symposium. Dr. Duška Radosavljević from University of Kent and Alexandra Portmann M.A., from University of Berne and University of Kent introduced the theme of the symposium and the speakers. The five presentations during the symposium focused on performative, political, historical, and cultural aspects of post-1989 Hamlet productions from Romania, Poland, Hungary, Lithuania, and Serbia. 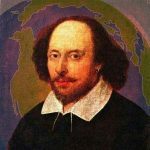 – the increasing role of globalisation and universalism in interpretations of Shakespeare. 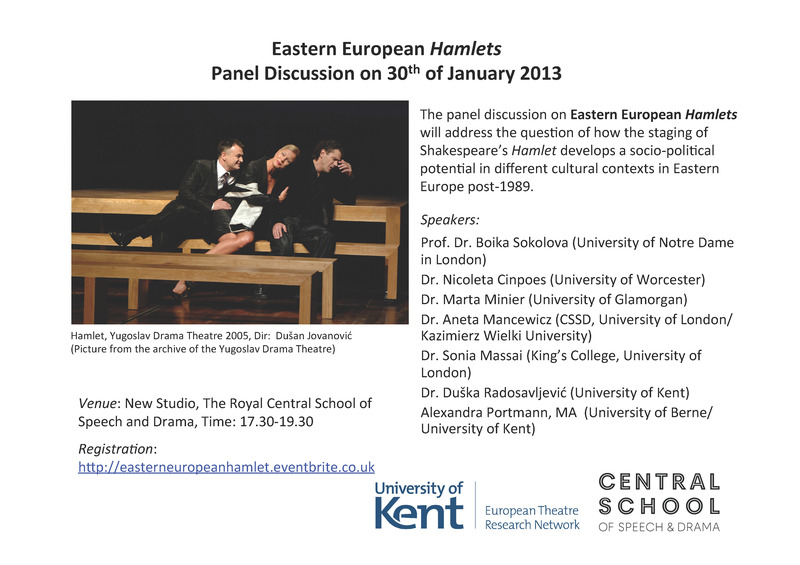 The event offered a wide range of perspectives to the presence of Hamlet in Eastern Europe. Considering the breadth of the topic, it was, however, inevitable that the discussion could not answer all the points raised during the panel. It is, thus, hoped that there will be a follow-up event on that subject in the near future.